Frank M. Buyan Jr., 77 years old, of Willow Valley Communities, formerly of Yardley Pennsylvania, passed away on Friday, May 18, 2018. He was born to Frank Buyan Sr. and Catherine Stofac Buyan. 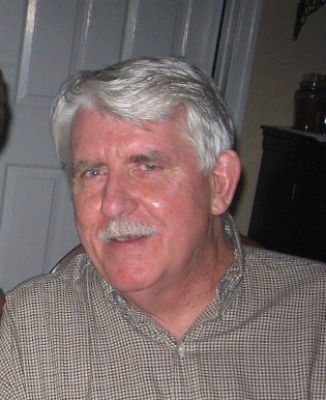 He was the loving husband of Carol Ann Coyle for 45 years. Born in Aliquippa, Pa., Frank graduated from Commodore Perry High School in Hadley, Pa. and continued his education at Penn State University. Upon recommendation from the head of the chemical engineering department, he interviewed with Mobil Oil Corporation and found a 40 year career that he loved. In the beginning of his career he worked at the Paulsboro, NJ. refinery. In 1980, he transferred to the Mobil Technical Center in Princeton, NJ. This former farm boy and one room schoolhouse student became an expert in Catalytic Cracking, F.C.C. processing and traveled world- wide to increase production of oil. His expertise was used in the following countries, Russia, Japan, China, England, Finland, Italy, France, Germany, Saudi Arabia, Canada, India and the United States. In his career, he had 6 patents and 65 patent citations. In 1987, he headed a consortium of 22 companies to develop a safe release of hydrofluoric acid, in order to prevent another Bhopal. At the end of his career with Mobil, he was a licensing executive and traveled world-wide to promote and sell safe patented refinery technologies. After retiring from Mobil, he continued to work for Carmagen Engineering. He was a member of St. Andrews, Episcopal Church in Yardley, Pa. He was life member of Penn State Alumni Association and Triangle Fraternity. Since 1975, he was a member of the Porsche Club of America and held various offices including President of his local chapter, Schattenbuam. With his family, he was part of the Fresh Air Fund Friendly Town program and hosted children for over 20 years. His hobbies were reading, photography, and watching early period and western movies, political discussions, cooking, classic cars …and of course his daily glass of scotch! Frank was a kind and gentle person who saw the best in everyone and had a great sense of humor. The family would like to thank the Arbor View staff and all the new friends from Willow Valley who enriched his life in so many ways. In addition, we thank our long term friends that have always supported Frank. In addition to his wife, he is survived by his loving son, Matthew D. Buyan. He is also survived by his brothers, Tom Buyan (Jan Rose) and Larry Buyan and sister, Barb Midkiff (Earl) and his dear aunts, Ruth Boyan and Anna Curaj. In addition, he is survived by his sister-in-law, Anna Marie Marino-Ciullo (John) and many nieces, nephews and cousins. Friends and family are respectfully invited to attend a Memorial Service at the Orr Auditorium at Willow Valley Manor, 211 Willow Valley Square, Lancaster, PA, on Wednesday, May 30, 2018 at 1:30 pm with Rev. Ken Phillips officiating. Friends may greet the family following the service. Contributions may be made in Frank’s honor to the Willow Valley’s, Team Member Education Fund, 300 Willow Valley Lakes Dr., Willow Street, PA 17584, Atten: Lakes Bookkeeper or City of Angels, NJ, Inc., P.O. Box 10237, Trenton, NJ. 08650. My deepest sympathy on Frank’s passing. May your loving memories provide you with comfort, peace and strength at this most difficult time. I am deeply sorry for your family’s loss of Frank. May you find comfort in the many precious memories you shared together as well as God’s promise to restore our dear loved ones to perfect life on a paradise earth. As you contemplate this promise, draw close to God in prayer and he will draw close to you and provide the needed strength to carry you through the difficult days ahead. I wish the very best for your family at this time, take care. My sincere condolences on the passing of your husband, Carol. I am so very sorry to hear of Frank’s passing. My deepest sympathy. I am so very saddened for your loss. Carol, my sincere sympathies on the passing of Frank. I was so sorry to read about Frank’s death. I’ve thought of you often, wondering how you all were doing. Please know that you are in my thoughts and prayers during this difficult time…. We were so very sorry to hear about Frank’s passing. Please know that you are in our thoughts and prayers at this very sad time. We want to express our sympathy and let you know that our thoughts are with you. May your memories give you peace and comfort. We want to express our sympathy and let you know that our thoughts are with you and Matthew. May your memories give you peace and comfort. Thinking of you as your mourn your dear husband and Dad. What a wonderful tribute in the Courier for such a talented and giving human being. My thoughts and prayers are with you as you move through this difficult time. May God comfort you with the warmth of family and friends at this sad moment. I am saddened to learn of Frank’s death. I can see his vibrant presence in our St. Andrew’s pews and parish house and will summon him and you into my heart and prayers as I remember the St. Andrew’s communion of saints. I give thanks for having shared our church life together with Frank and with both of you.